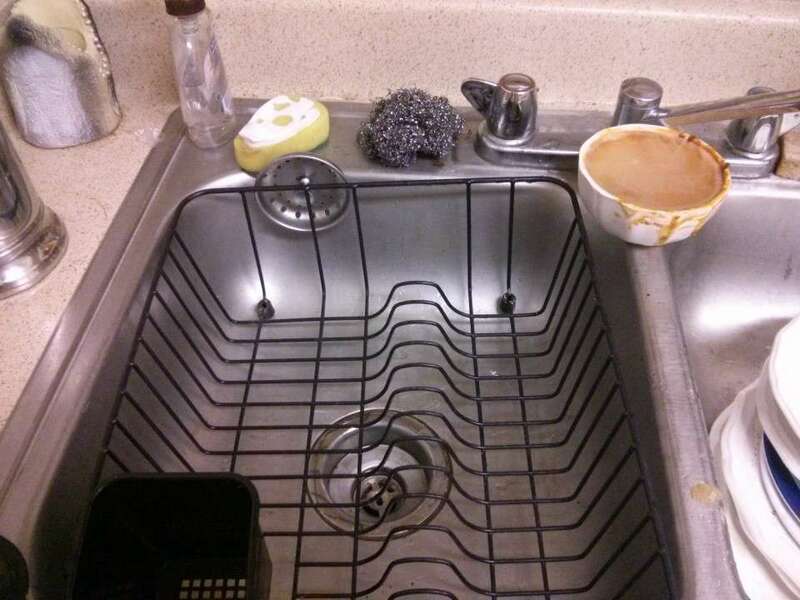 If you're anything like myself and my roommate, you don't take out the trash so you leave it on the counter; it blocks up the sink so you don't do the dishes and the gnats claim your kitchen, and eventually your home, as their kingdom. The first and easiest step to cleaning is to put the trash (and recyclables) in their bins first. This makes the task of cleaning seem less overwhelming. Beware of old beer cans filled with mold because your roomie doesn't empty them all the way. The gnats are most fierce (and drunk) in this situation. 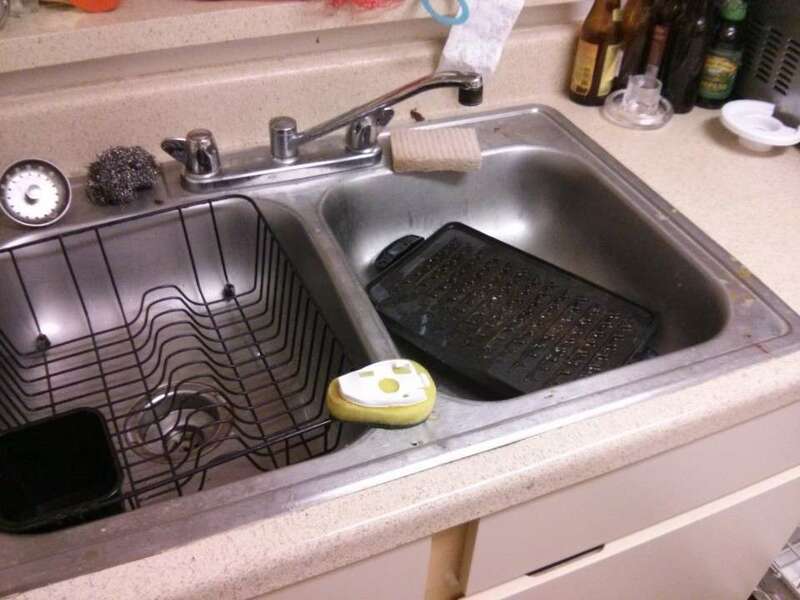 This is is simple: if the sink is full of dishes, it's hard to do dishes in the sink. So empty one side or if your sink is a just one tub clear it out, put the dishes on the counter, the floor, or truly anywhere in the gnat kingdom. Either way, clear your work-space. It seems such a little unnecessary step but it makes cleaning so much easier. 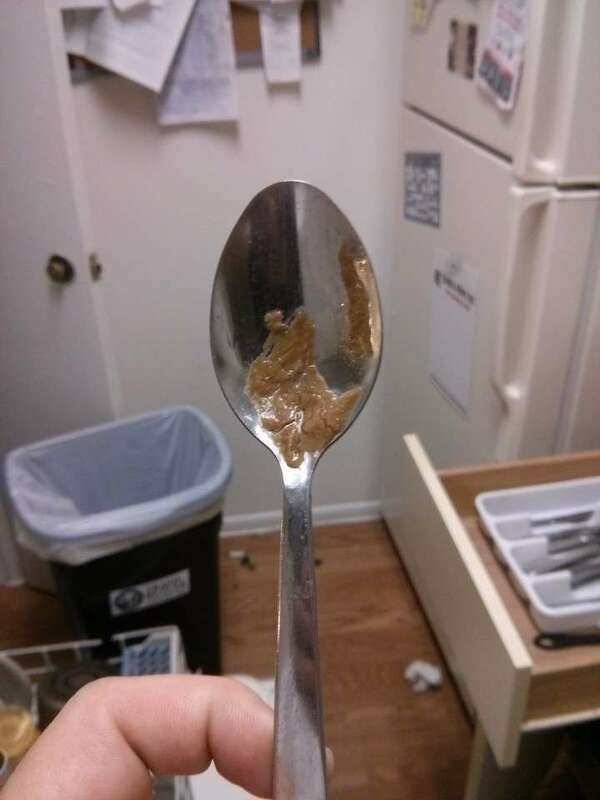 Soaking the silverware, in hot water, is by far the easiest way to get the dried food off of the silverware. 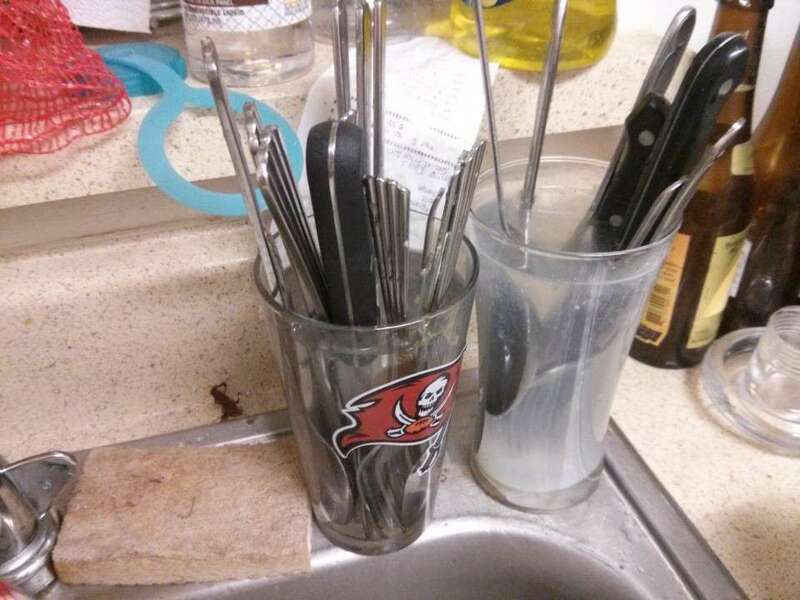 You can leave these while you kill the dishes and then when the dishes are done the silverware will be free of food. Be forewarned, by now the gnat king with have begun to mobilize his forces to prevent the destruction of his kingdom's most valuable resource. Corn flakes, dried spaghetti and chili cheese dip are some of the worst offenders. Chili cheese dip is the preferred food of the gnat nobility. 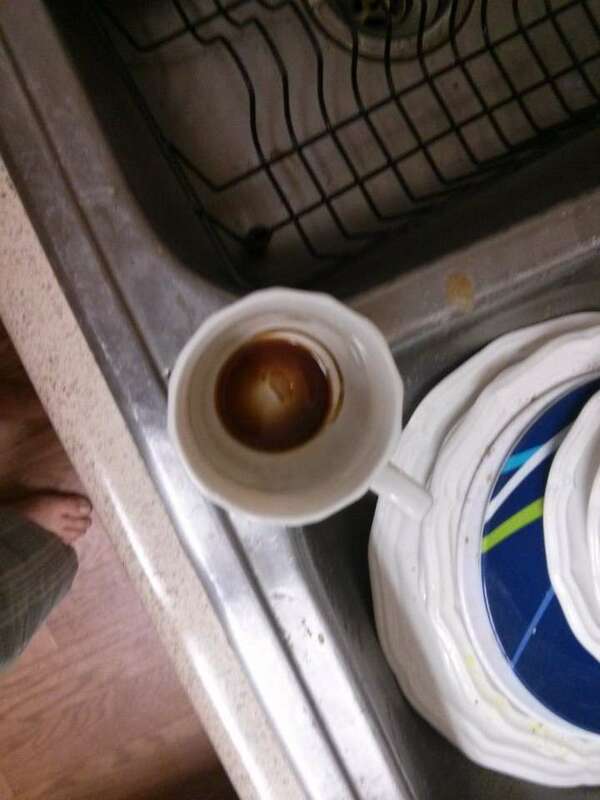 Brown rings on the coffee cups? Don't scrub; just soak that crap. 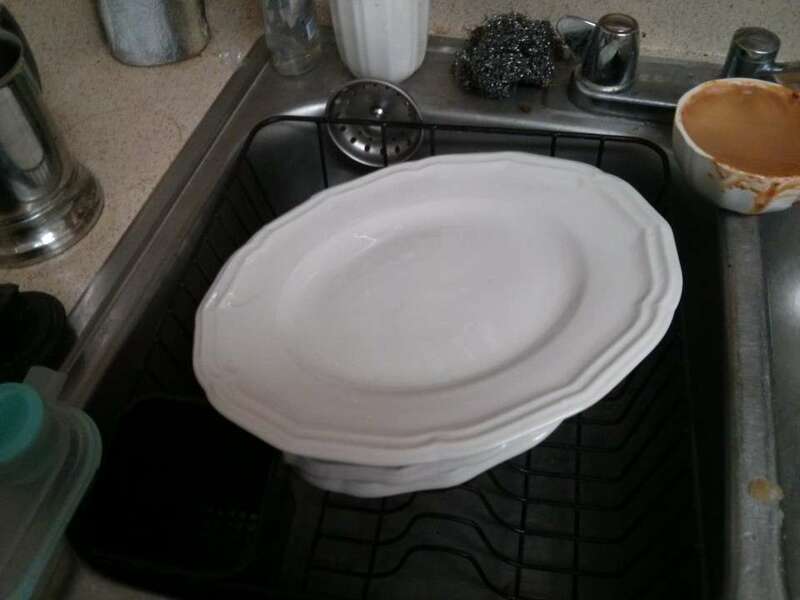 The larger dishes will give a solid base to the smaller ones on top so you can really scrub if need be. Also, you can pour water into the top dish and it will spill over into the lower dishes -- a beautiful spectacle of a fountain that will draw the gnats in, fill them with complacency, and ultimately ensure their demise. Its not unheard of for the gnats to begin launching preliminary assaults against your face around this time. If you have a dishwasher, load the dishes up after they've been scrubbed clean of food. If you're fully doing your dishes by hand, soap up your sponge and get to scrubbing. 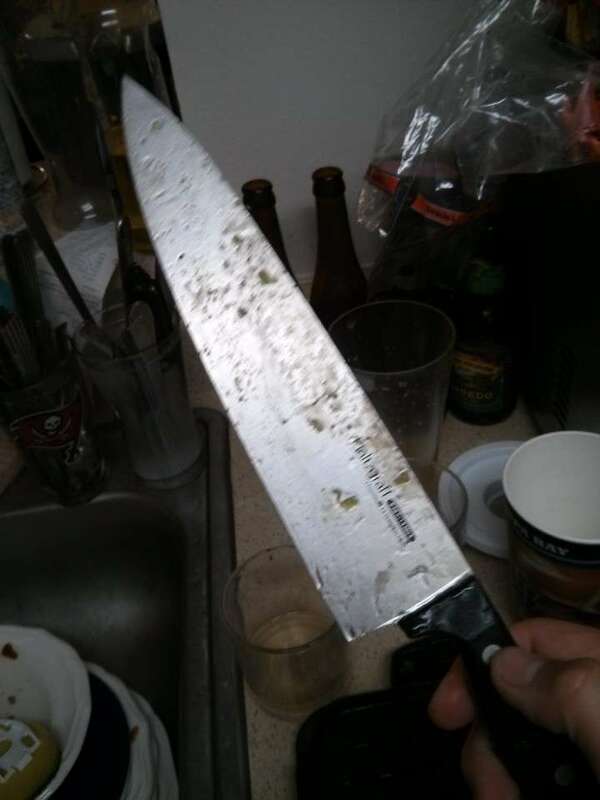 Scrub sharp knives first -- if left in the sink said knives will cut you. They cut you so bad you wish they not cut you so bad at all! Use the knife to fight off the Gnats. 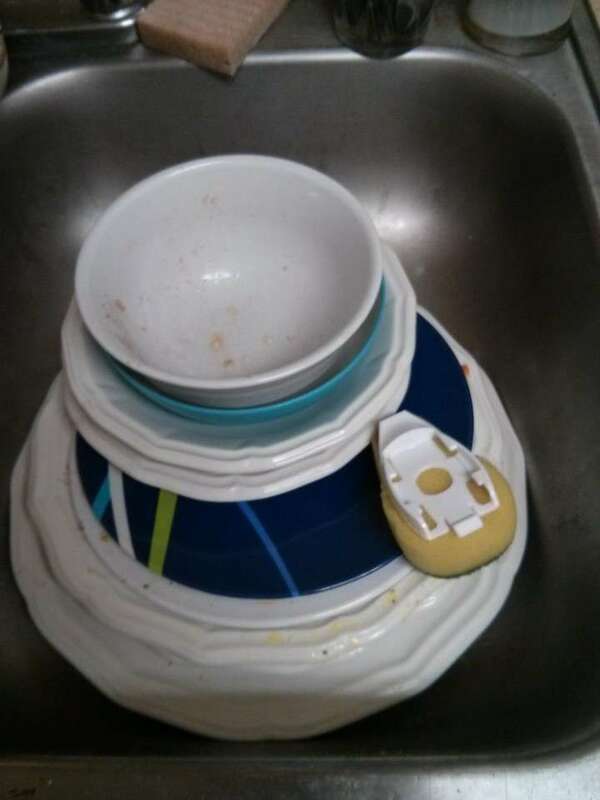 if you stack the dishes as you clean them, you will end up with the largest dishes on top perfect -- for then loading the dishwasher. the Gnat war machine will be in full war production mode by now, fortunately, Gnats are a monarchist society with a rather small middle class and almost no industrial base. Most of the silverware will come out clean; a few may need a light scrub, for the really dried on stuff. Wipe them off and load up the dishwasher. If Protocol 64C from you dishwasher CIA handbook was followed, all of the Gnats are dead. YOU have committed Gnatocide, but damnit all your kitchen will be clean! 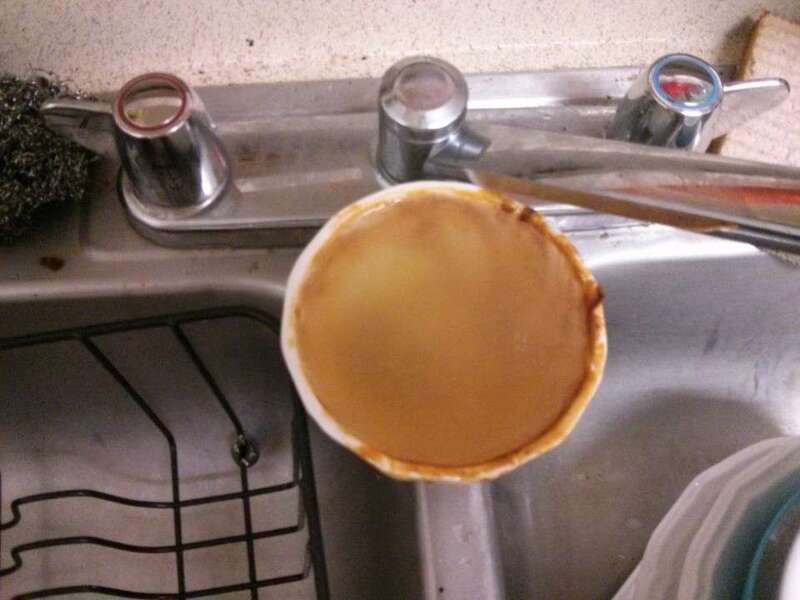 Your sink should now be clean! cleaning is like working out: fifteen minute intervals at maximum intensity, then take a break. Otherwise, you will get burnt out. Clean the stove off later -- go for a bike ride or watch some Futurama! 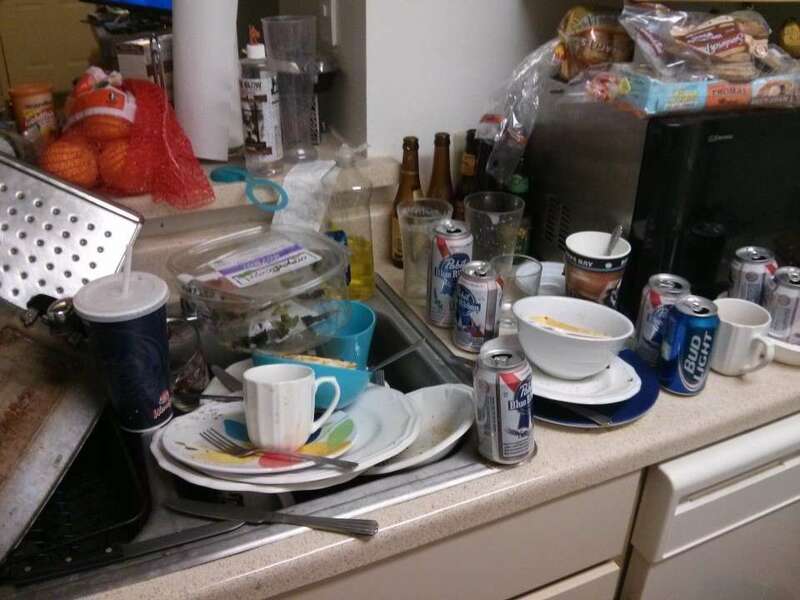 Now all the pots, pans, and George Foreman grill plates have to be scrubbed.. maybe you'd better drink a beer instead.